Wireless charging is nothing new -- I first used it many years ago with a lowly Nokia Lumia running Windows Phone. For years, many Android phones have had this feature too. Apple's iPhone was very late to the Qi charging party, only launching in 2017, but I suppose late is better than never, right? Today, Case-Mate launches a new wireless charger that is compatible with all Qi smartphones, including the Samsung Galaxy S9 and the latest iPhone devices -- 8, 8 Plus, and X. In fact, it supports fast wireless charging, so you can juice up your device more quickly (not as fast as using a wire, though). Best of all, it has a very unique design, where the charging pad itself can be inserted into a base. This allows the device to charge while laying flat or propped up in either portrait or landscape modes. In other words, you can decide how the phone is positioned, and you can change it whenever you want -- a very clever design. 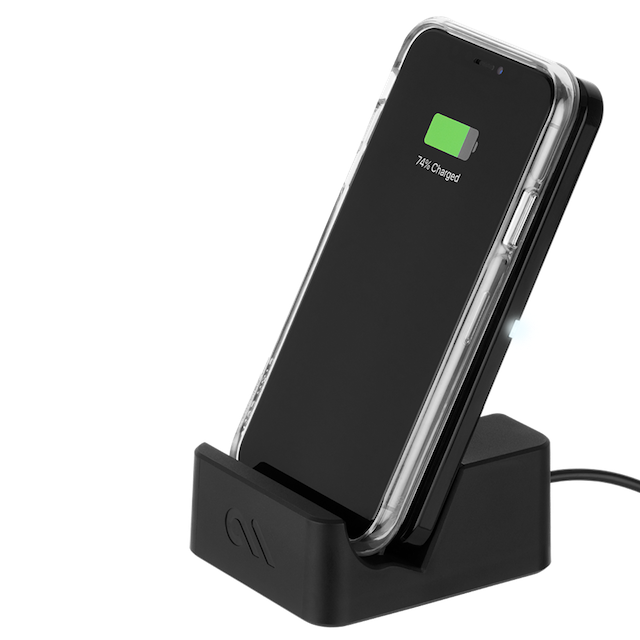 "Case-Mate's new wireless Power Pad engages Qi-enabled devices at the highest charging speeds possible, including 7.5W of power for the latest Apple iPhones (iPhone 8, iPhone 8 Plus and iPhone X) and 9W of power for the latest Samsung devices. And unlike most wireless chargers on the market, Case-Mate's Power Pad also includes a sturdy stand designed to be used on a table, desk, or countertop, to display your device in portrait or landscape view. 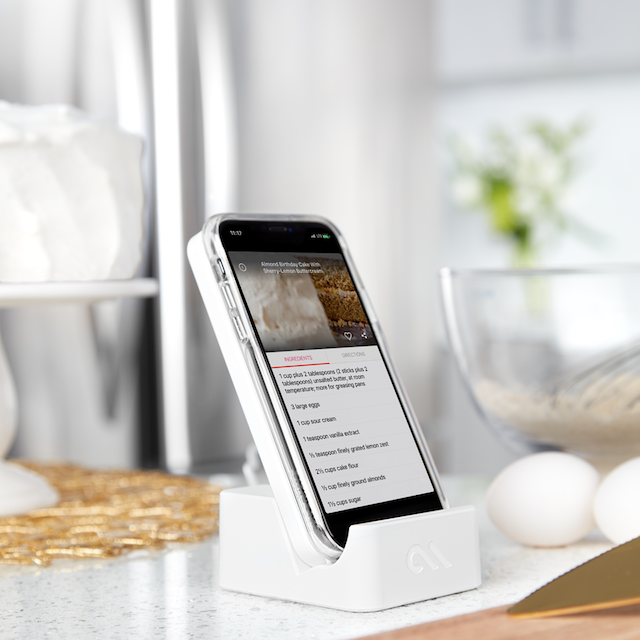 Easily check incoming texts or emails, answer the phone, follow a recipe, set a timer, or stream the latest series, all while charging your device," says Case-Mate. Steve Marzio, CEO of Case-Mate explains, "Being able to simply put my phone down on the Power Pad at work without having to always fish for a charging cord is extremely convenient. The fact that it stands up in viewing mode allows me to easily glance at my phone at important incoming texts and updates while multitasking. My phone charges at such a fast rate, and stays charged, so I never miss a beat, or a notification. It's quickly become my new working norm." Case-Mate shares the following features of the Power Pad. Convenient soft LED light indicator confirms your device is charging. Removeable "iPhone shaped" charging pad allows for simple lay-flat charging. Simply place charging pad in included stand for viewing mode. Slip resistant "racetrack" shaped ridge to easily guide your device to perfect placement every time. 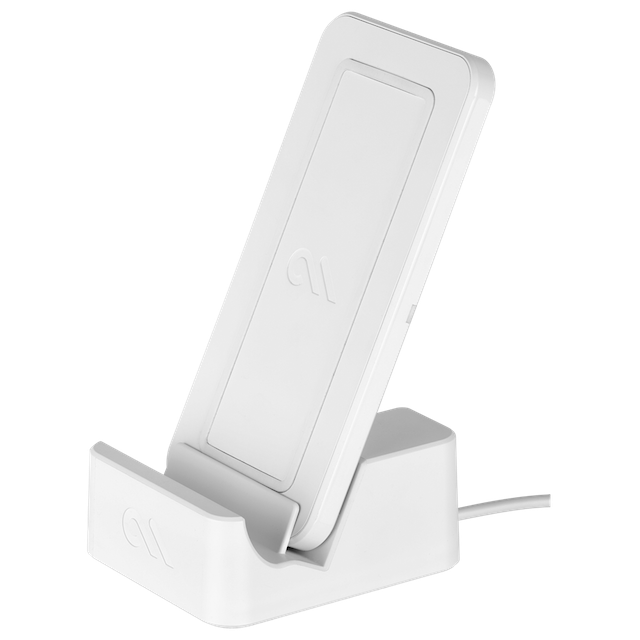 Base grips on the bottom of the charging pad prevent movement when placed on smooth surfaces. Minimalist "Apple-esque" design is versatile and functional. The Case-Mate "Power Pad" Qi fast wireless charger can be had immediately from Amazon here in both black and white. A USB Type-A power adapter is included in the box -- something other brands sometimes omit, believe it or not. The company lists the price as $60, but it is already available for less, including a 10-percent off clickable coupon.